IVECO DAILY. 3.0 HPI - F1C. INJECTOR SPILL BACK / LEAK OFF PIPES. PA20 - 38, 41 - 49, 60 - 78. CHANNEL ISLANDS. IV1 - 28, 30 - 32, 36 - 48, 51 - 56, 63. AB31 - 38, 40 - 56. PH4 - 41, 49 - 50. BOSCH - 0445010181;. 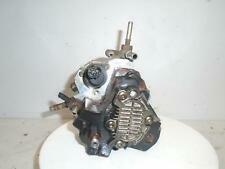 IVECO DAILY Injector Pump (High Pressure). 2007 IVECO DAILY which we are dismantling. DAILY 2006 -2011 2.3 Diesel Engine. The Part imaged and described is th eactual part you will recieve. BOSCH - 0445020008;. IVECO DAILY Injector Pump (High Pressure). 2005 IVECO DAILY which we are dismantling. DAILY 2000 -2006 2.3 Diesel. The Part imaged and described is th eactual part you will recieve. 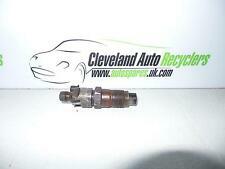 THIS ITEM IS A USED IVECO DAILY FUEL INJECTOR, REMOVED FROM A 2002 IVECO DAILY 29L9 P/V 3.0M/7. REFERENCE THE SALE OF GOODS ACT 1979. VEHICLE GUIDE. 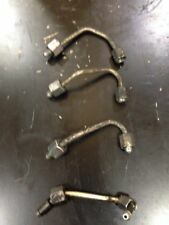 Item Specifics:2000-2006 - MK3 - 2.3 DIESEL - INJECTION RAIL - 0445214059. Part:Injection Rail. This Injection Rail was removed from a2004 car and has been fully inspected. DAILY 2000 -2006 Mk 3. Manufacturer Part Number 0432191847. 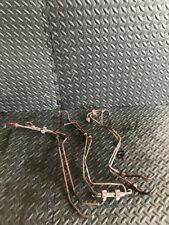 0 432 191 847 6168347 KBAL62P10 DLLA150P53 0 433 171 053 212.0bar IVECO. All injectors are torn down and cleaned through a parts washer. All internal parts are inspected for wear and tear. PART NUMBER : KCN18P2. Manufacturer Part Number KCN18P2. IT IS BEEN REMOVED FROM IVECO DAILY 2.8 TDI 2001 YEAR. ONCE AN ITEM IS RECEIVED BACK IT WILL BE QUALITY TESTED ON OUR BENCHES AND CHECKED FOR A MATCH WITH THE ONE SOLD. PART NUMBER : KBEL82P125. Manufacturer Part Number KBEL82P125. ONCE AN ITEM IS RECEIVED BACK IT WILL BE QUALITY TESTED ON OUR BENCHES AND CHECKED FOR A MATCH WITH THE ONE SOLD. (MAKE SURE THE PART NUMBER MATCHES THE ONE YOU NEED). ONCE AN ITEM IS RECEIVED BACK IT WILL BE QUALITY TESTED ON OUR BENCHES AND CHECKED FOR A MATCH WITH THE ONE SOLD. (MAKE SURE THE PART NUMBER MATCHES THE ONE YOU NEED). PART NUMBER : NO FOUND ! SEE PICTURES PLS ! Iveco Daily. Model Daily VI. Fuel type diesel oil. SWIFT: INGBPLPW. 30 1050 1070 1000 0022 1597 3690. ING Bank Slaski. The part number in the table above must be identical with the number of your part, otherwise the part will not work properly. Part number 5801645770. 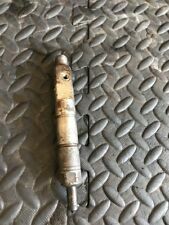 Vehicle manufacturer part number 5801645770. Iveco Daily. Model Daily VI. Fuel type diesel oil. 30 1050 1070 1000 0022 1597 3690. ING Bank Slaski. The part number in the table above must be identical with the number of your part, otherwise the part will not work properly. Fuel type diesel oil. Model Daily. SWIFT: INGBPLPW. 30 1050 1070 1000 0022 1597 3690. ING Bank Slaski. The part number in the table above must be identical with the number of your part, otherwise the part will not work properly. Part number 0445010586 5801572470. Vehicle manufacturer part number 5801572470. Iveco Daily. Model Daily VI. Fuel type diesel oil. The part number in the table above must be identical with the number of your part, otherwise the part will not work properly. PART NUMBER : KBEL108P82. Manufacturer Part Number KBEL108P82. 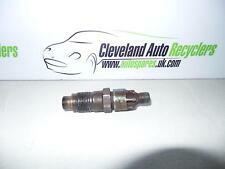 FUEL INJECTOR KCN18P2 FOR IVECO DAILY. IT IS BEEN REMOVED FROM IVECO DAILY. ONCE AN ITEM IS RECEIVED BACK IT WILL BE QUALITY TESTED ON OUR BENCHES AND CHECKED FOR A MATCH WITH THE ONE SOLD. Manufacturer Part Number 500391798. 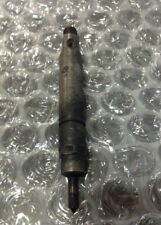 INJECTOR PART NUMBER :500391798. (MAKE SURE THE PART NUMBER MATCHES THE ONE YOU NEED). ONCE AN ITEM IS RECEIVED BACK IT WILL BE QUALITY TESTED ON OUR BENCHES AND CHECKED FOR A MATCH WITH THE ONE SOLD. Brzóski 127. 43-305 Bielsko-Biała. M.Bednarczyk, K.Kruczek. SWIFT: INGBPLPW. 30 1050 1070 1000 0022 1597 3690. Part number: 0445224009; 0281002405. Donor vehicle- 2006 LHD Iveco Daily 2.8 Diesel. Engine - 2.8 Diesel. Year - 2006. RHDrefers to part from right hand drive vehicle (found in UK, Australia and others). IT IS BEEN REMOVED FROMIVECO DAILY 2.3 HPI 2005 YEAR. ONCE AN ITEM IS RECEIVED BACK IT WILL BE QUALITY TESTED ON OUR BENCHES AND CHECKED FOR A MATCH WITH THE ONE SOLD. (MAKE SURE THE PART NUMBER MATCHES THE ONE YOU NEED). INJECTOR PART NUMBER : KBEL82P125. ONCE AN ITEM IS RECEIVED BACK IT WILL BE QUALITY TESTED ON OUR BENCHES AND CHECKED FOR A MATCH WITH THE ONE SOLD. (MAKE SURE THE PART NUMBER MATCHES THE ONE YOU NEED). 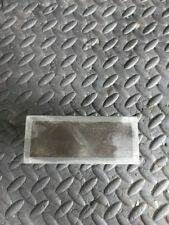 0 432 191 847 6168347 KBAL62P10 DLLA150P53 0 433 171 053 212.0bar IVECO. All injectors are torn down and cleaned through a parts washer. All internal parts are inspected for wear and tear. Any excessively worn parts are discarded and replaced. PART NUMBER : KBEL82P125. ELIN PELIN 2100. 29 LESNOVSKA. AUTOPARTS SERVICE 86 LTD. ONCE AN ITEM IS RECEIVED BACK IT WILL BE QUALITY TESTED ON OUR BENCHES AND CHECKED FOR A MATCH WITH THE ONE SOLD. PART NUMBER : KCN18P2. IT IS BEEN REMOVED FROM IVECO DAILY 2.8 TDI 2001 YEAR. ONCE AN ITEM IS RECEIVED BACK IT WILL BE QUALITY TESTED ON OUR BENCHES AND CHECKED FOR A MATCH WITH THE ONE SOLD. AUTOPARTS SERVICE 86 LTD.
PART NUMBER : KBEL108P82. 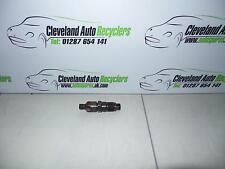 FUEL INJECTOR KCN18P2 FOR IVECO DAILY. IT IS BEEN REMOVED FROM IVECO DAILY. ONCE AN ITEM IS RECEIVED BACK IT WILL BE QUALITY TESTED ON OUR BENCHES AND CHECKED FOR A MATCH WITH THE ONE SOLD. ELIN PELIN 2100. 29 LESNOVSKA. AUTOPARTS SERVICE 86 LTD. ONCE AN ITEM IS RECEIVED BACK IT WILL BE QUALITY TESTED ON OUR BENCHES AND CHECKED FOR A MATCH WITH THE ONE SOLD. IT IS BEEN REMOVED FROMIVECO DAILY 2.3 HPI 2005 YEAR. ONCE AN ITEM IS RECEIVED BACK IT WILL BE QUALITY TESTED ON OUR BENCHES AND CHECKED FOR A MATCH WITH THE ONE SOLD. 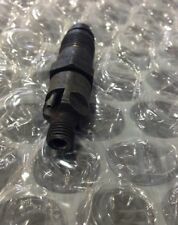 INJECTOR PART NUMBER : KBEL82P125. ELIN PELIN 2100. 29 LESNOVSKA. AUTOPARTS SERVICE 86 LTD. ONCE AN ITEM IS RECEIVED BACK IT WILL BE QUALITY TESTED ON OUR BENCHES AND CHECKED FOR A MATCH WITH THE ONE SOLD.